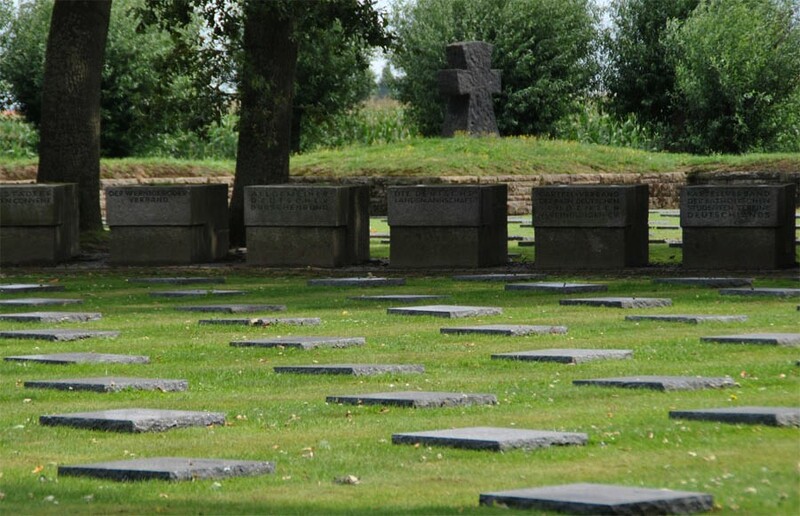 The Langemark German War Cemetery is located north of Ypres, but was during World War I mainly on the German side of the frontline. 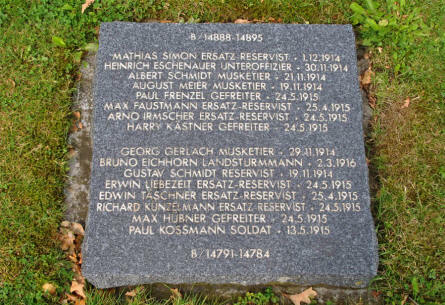 With 44,403 casualties of the First World War buried here it is on of the largest German war cemetery is located in the west. 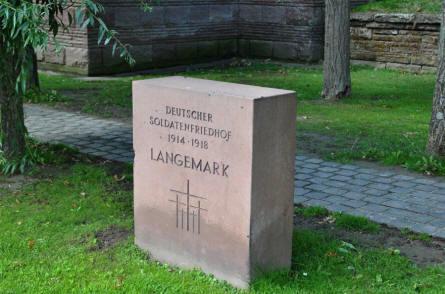 A stone outside the Langemark German War Cemetery. 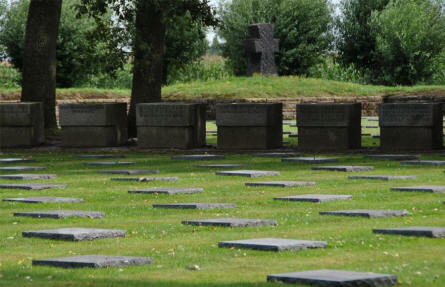 A small section of the Langemark German War Cemetery. 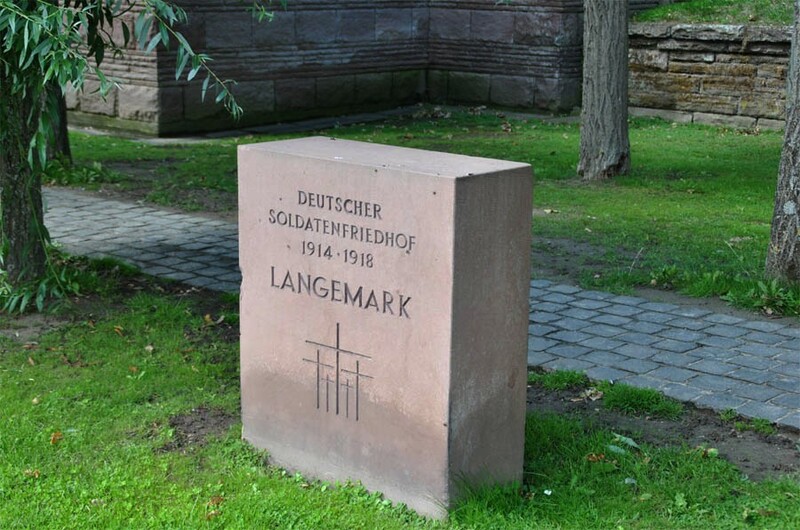 One of the many grave stones at the Langemark German War Cemetery. 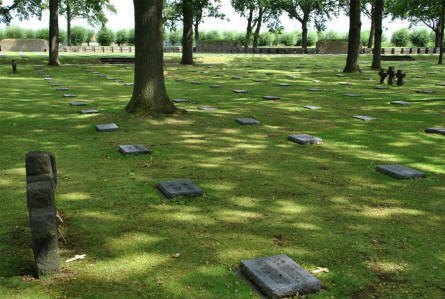 Notice that each stone carries many names. 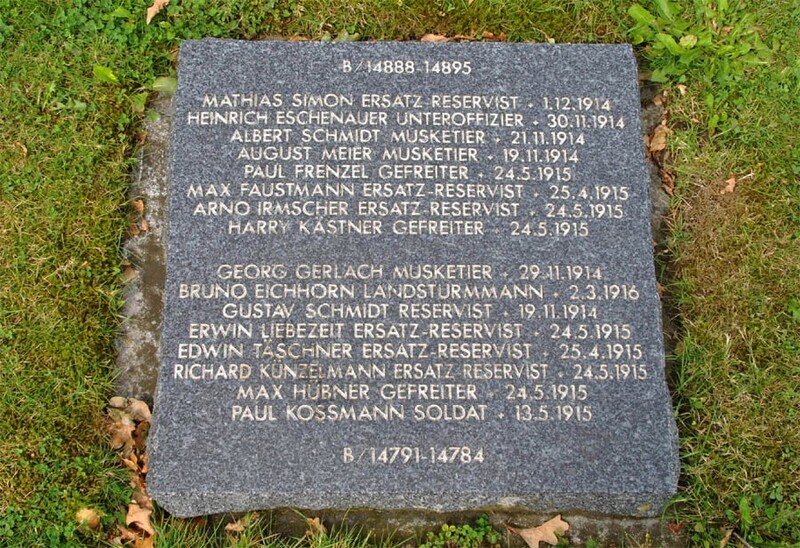 The soldiers mentioned on this stone was all killed in 1914 or 1915. 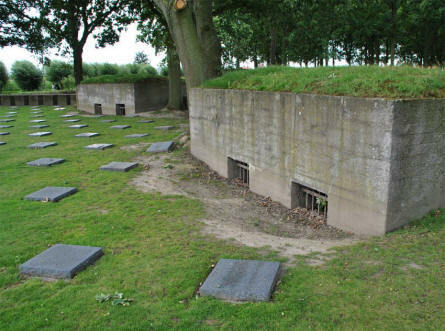 Some of the old pillboxes that can be found at the Langemark German War Cemetery. 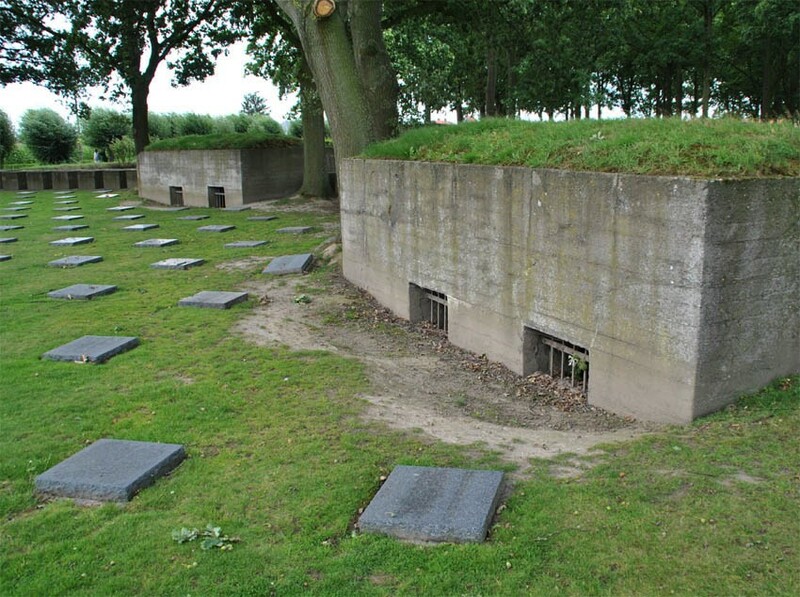 The Langemark German War Graves is a typical German military cemetery - with dark grave stones lying flat on the ground and a few dark crosses. 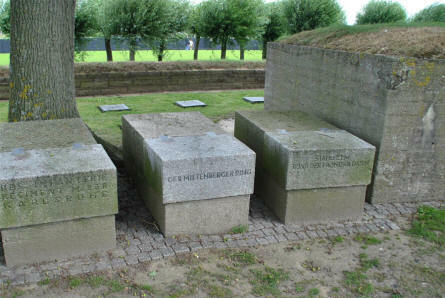 Some of the memorial stones that can be found at the Langemark German War Cemetery.